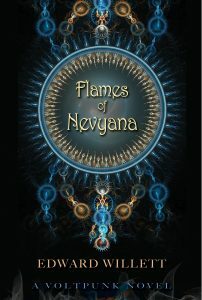 if you enjoyed the Masks of Aygrima trilogy, you’d probably also enjoy my latest YA fantasy novel (written as Edward Willett), Flames of Nevyana, from Rebelight in Winnipeg. Blue Fire is both blessing and curse. A gift from the gods, its mystical light and energy powers and protects the land of Nevyana, but it also divides her people into three distinct groups. In the wrong hands, it becomes a formidable weapon. When sacred objects for channelling Blue Fire are stolen, sworn enemies Petra, Amlinn, and Jin set out to find them, and their paths converge on a collision course with the truth. Can they bridge the centuries-old divide between their communities? 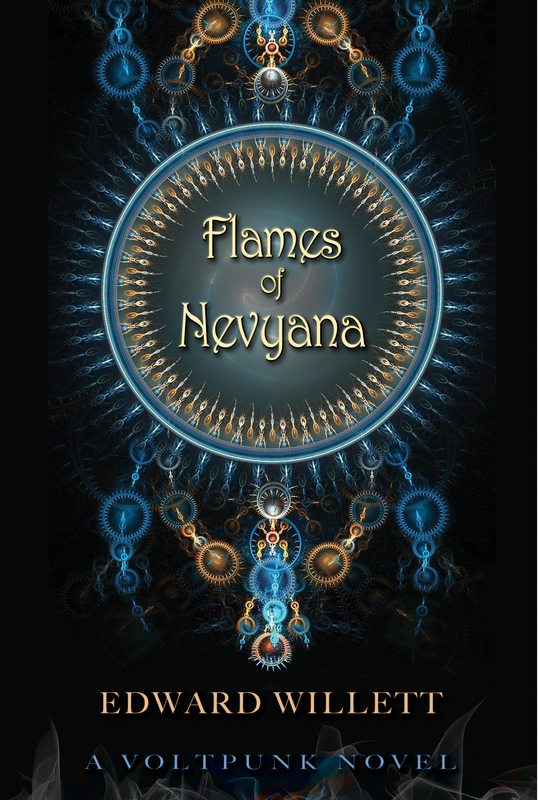 Or will their search for the truth and the explosive power of Blue Fire signal the end of Nevyana? It’s available from Amazon.com and Chapters/Indigo. Be the first on your block to read it! If you’d like a taste, you can read the first two chapters online now!